Are you a property owner? Are you at risk of making tax mistakes? 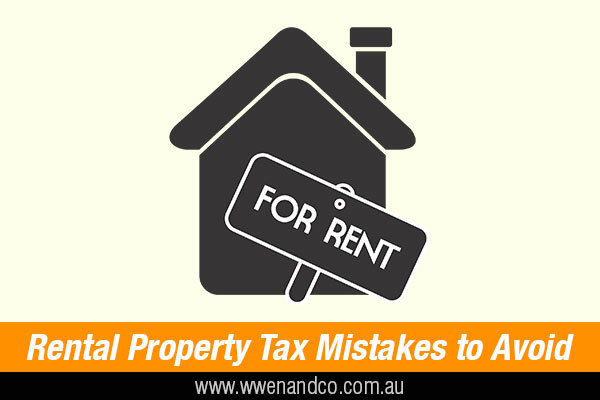 To help rental property owners avoid common tax mistakes the ATO has provided a list of the most common tax errors that you may be making. The ATO also advises that avoiding these mistakes will save many rental property taxpayers both time and money. Are you claiming the right portion of expenses? You cannot claim any deductions for rental property expenses if a family or friends stay free of charge, or for any periods that you used or stayed on your rental property – the ATO is firm about this. Please take note as well that if the rental property is rented below the market rate to family or friends, you can only claim a deduction for that period up to the amount of rent received. Did you make initial repairs or capital improvements? Repairs must relate directly to “wear and tear” or other damage that happened as a result of renting out the property. Initial repair costs for damages that existed when you bought the property (such as replacing broken light fittings or fixing damaged floorboards) are not immediately deductible, but these costs come into play later when working out your profit upon sale of the property (that is, your capital gain or loss: see tip 9 below). Ongoing repairs that relate directly to wear and tear or other damage that resulted from renting out the property (such as fixing the hot water system or part of a damaged roof) are classed as a repair and can be claimed in full in the same income year. Replacing an entire part of the property, such as replacing a bathroom, is classified as an improvement and is not immediately deductible. These “building costs” can be claimed at 2.5% each year for 40 years after completion. If you completely replace a damaged item that is detachable from the house and it costs more than $300 (for example, replacing the entire hot water system), the cost will need to be depreciated over a number of years. Do you have construction cost? It is possible to claim certain building costs, including extensions, alteration and structural improvements, as capital works deductions. Generally, you can claim a capital works deduction at 2.5% if the construction cost each year for 40 years from date of completion.If the previous owner claimed a capital works deduction, they should give the current owner the relevant information to calculate costs, so it always pays to ask for this. If they didn’t use the property to produce assessable income, an estimate can be obtained from a professional. However, the ATO requires that this professional is qualified, uses a reasonable basis for their valuation and excludes cost of the land when working and construction costs. Can you claim borrowing expenses? Borrowing expenses include loan establishment fees, title search fees and costs of preparing and filing mortgage documents. If the borrowing expenses are more than $100, the deduction is spread over five years. If they are $100 or less, you can claim the full amount in the same income year as the expense was incurred. What purchase costs can you claim? You can’t claim any deductions for the costs of buying your property. This includes conveyancing fees and stamp duty (for properties outside of the ACT). If you later sell your property, these costs are used when working out your capital gain (or loss): see tip 9. The property must be genuinely available for rent in order to claim a tax deduction. This means you must be able to show a clear intention to rent the property. The rent should be set in line with similar properties in the area, and the property should be advertised so that someone is likely to rent it. The ATO also says it is advisable to avoid what may be seen as unreasonable rental conditions. You can claim interest as a deduction if you take out a loan for your rental property. However, if you use some of the loan money for personal use, such as buying a boat or going on a holiday, you are not permitted to claim the interest on that part of the loan. You can only claim the part of the interest that relates to the rental property. If you own a rental property with someone else, you must declare rental income and claim expenses according to your legal ownership of the property. If you are joint tenants, your legal interest will be equally divided, but if you are tenants in common you and the other owners may have different ownership interest percentages. When you sell your rental property, you will make either a capital gain or a capital loss (that is, the difference between what it cost to buy and improve the property, and what you receive when you sell it). If you make a capital gain, you will need to include this in your assessable income for that financial year. If you make a capital loss, you can carry the loss forward and deduct it from capital gains in later years. Having evidence of your income and expenses is important to be able to claim everything you are entitled to. Capital gains tax may apply when you sell, so you should keep records over the period you own the property and for five years from the date you sell it.